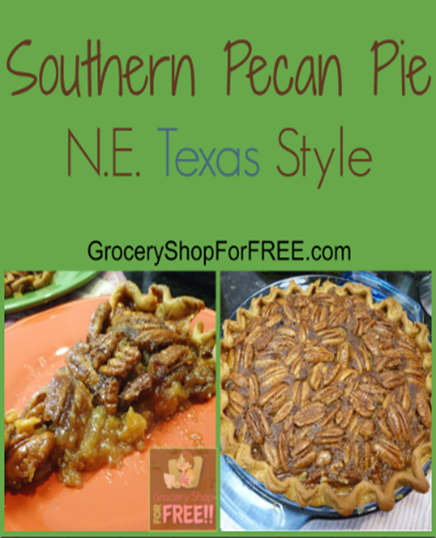 You are here: Home / Recipes / Dessert / Southern Pecan Pie Recipe! 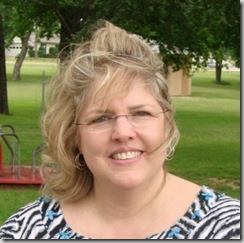 Susan is back to share her Southern Pecan Pie! In my house we bake pies pretty much only during Thanksgiving and Christmas. Everyone likes something different. 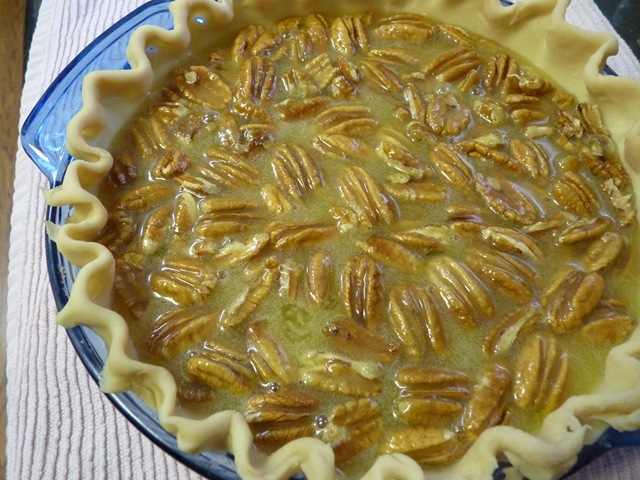 The boys like my Mom’s Chocolate Pie, Hubby likes his Mom’s Lemon Pie, and our daughter and my Father in law love their pecan pie! 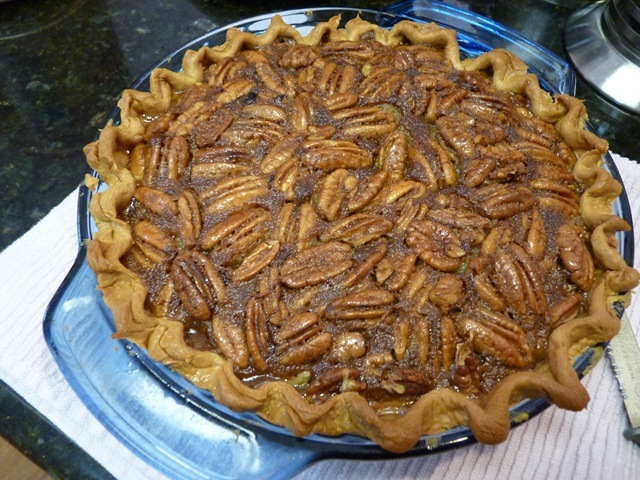 So, check out Susan’s Southern Pecan Pie recipe! You won’t be disappointed! 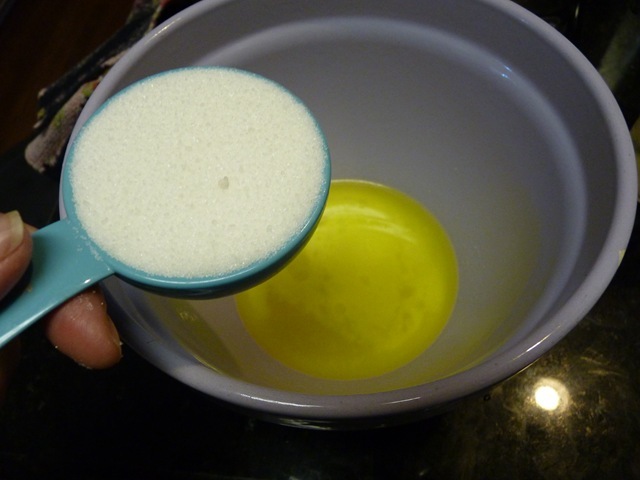 Beat eggs and sugar. 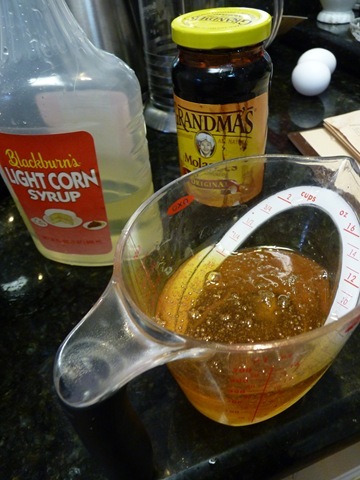 Add other ingredients and mix well (except pecans). Place the pecans in unbaked pie shell and pour the rest on top. 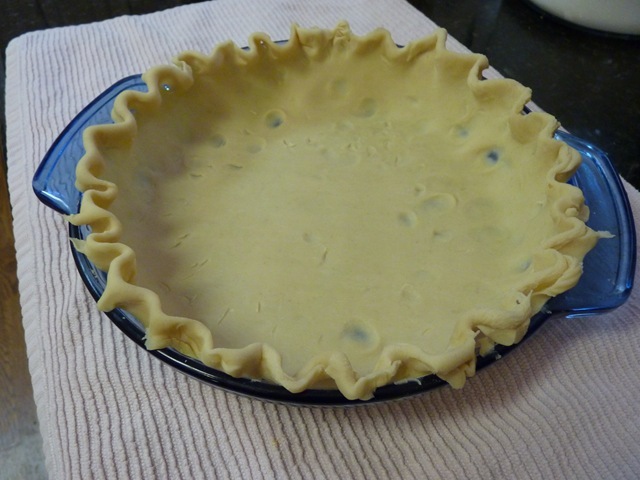 Place the pecans in unbaked pie shell and pour the rest on top. Bake at 350 degrees for 50-60 minutes or until done. My oven took 50 minutes but I had to cover it for the last 10 minutes to keep it from getting too brown. I leave my pecans in halves because my husband prefers it that way. 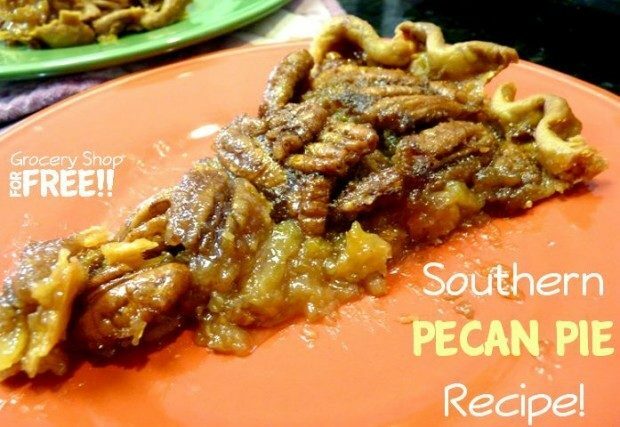 It sort of makes it taste like it is covered in sugared pecans. I wondered if you ever tried dark Karo for this recipe? I have not. If you do, let us know how it turns out.